"The app that teaches you colors and stimulates creativity"
Rating: The TOP 10 Most popular Apps in Learn How to Draw category. Ranking: The TOP 10 Most downloaded applications in Learn How to Draw category. 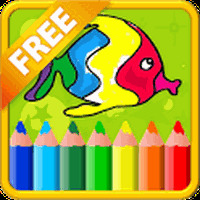 Learn Coloring - Kids Paint is related to Android apps, Art - Design, Education. Do you like Learn Coloring - Kids Paint?